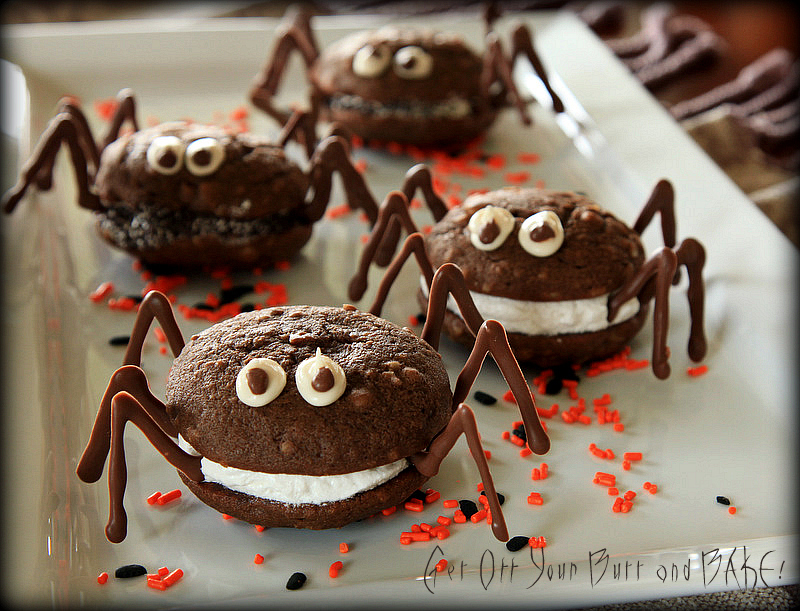 Creepy Crawly Whoopie Pie Spiders! See what I made yesterday . . . If one of these critters was hiding in the sheets . . . would you jump out of bed? This one just ate his brother for lunch! 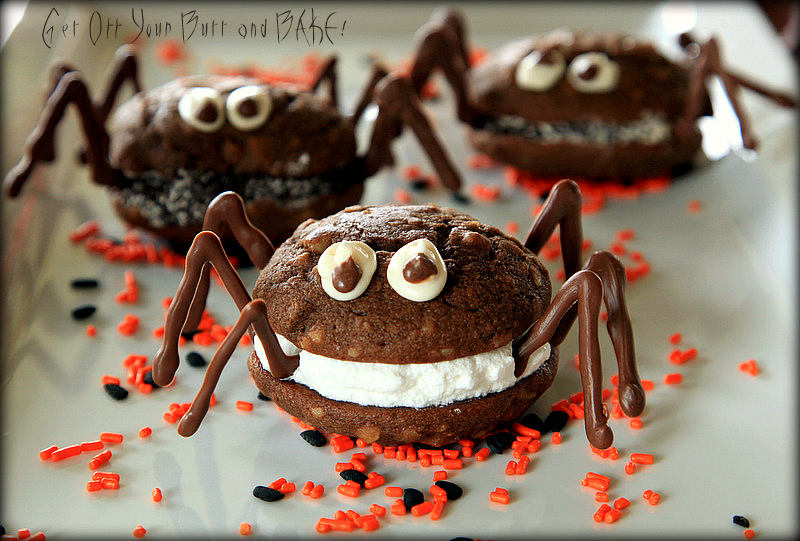 Whoopie Pie spiders look creepy . . . but they are quite edible and delicious. The Marshmallow filling is the guts for my spiders . The inspiration to make these spooky spiders came from Wing It Vegan. She uses Chocolate Ganache for her filling. Since I don’t live with a guy who loves Chocolate . . . Well, you get the picture. Grab your little goblings and get in the kitchen. They do take a bit of time, but so much fun! This is the part, that will take some time. Make sure you make several extra . . . you will break a few! I found the pattern on Flicker, Thanks to Wing it Vegan. You can also check out her spiders as well. Once you have copied your pattern, lay it on a cutting board like the picture below. Lay a piece of Parchment or wax paper over the pattern. *Note: I found that the spider legs comes off Parchment paper much easier than wax paper. Simply melt semi-sweet chocolate chips in the microwave. Stir every 30 seconds until the chips are melted. You don’t want to over heat the chocolate. In fact . . . I found that the cooler the chocolate was, the more authentic the spider legs looked. Transfer the melted chocolate to a small ziploc bag and cut a very small tip off one of the corners. Squeeze the melted chocolate out of the opening and onto the parchment paper, following the lines of the pattern. Don’t make your legs too thin, or they will break easily. Chub them up a bit! If you have the room in your fridge . . . you can put them there to chill. I didn’t have the room! I just let them hang out with me, until the chocolate was set. I started by removing the legs and transferring to a cookie sheet, but quickly changed my mind. Just carefully lay one sheet of legs on top of the other, and set them aside for later. You’ve only just begun . . .
You can transfer your dough with a spoon, but a cookie scoop works much easier. That way . . . all your little spiders will be the same size! I found a really great recipe from Martha Stewart’s Cookie book. They soften nicely and are yummy. I put chunks of walnuts in half of them. I baked my cookies for about 9 minutes. 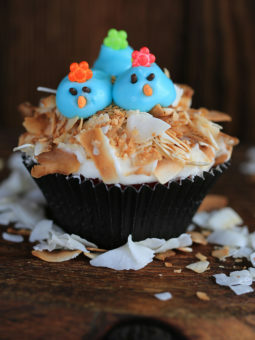 *I used Marshmallow Frosting, but you could use Chocolate Ganache or 7 minute frosting, etc. To be honest, I made two different recipes. Both are good . . . but one is much sweeter than the other. I will post both recipes below, and you can choose which frosting your family will like. If you make the Marshmallow frosting, make sure you beat it until it HOLDS VERY STIFF PEAKS!!!! It’s much easier to fill your cookies if you transfer that Marshmallow frosting into a bag with a large tip on the end. You can pipe it quite close to the edges, and make it really even. Be generous . . . If you’ve made your frosting stiff . . . It’s not going anywhere! Top it with another cookie, and press down lightly. Go ahead . . . EAT ONE . . . while nobody is looking! STEP FOUR: CREATE SOME EYES! You might be able to find some of those store bought candy eyes, however . . . I did not! Just make a thick paste with about 1/2 cup powdered sugar and a few drops of water. You don’t want this to be thin, or your eyes will run down the cookie. Transfer the frosting paste to a small bag, and snip of a tiny little tip of one corner. Place the eyes where you want them. A drop of melted chocolate in the center makes a nice pupil. STEP FIVE: INSERT LEGS CAREFULLY! The pattern you copied has enough legs for 1 spider – if you put 4 legs on each side. It’s easy to tell which side the legs fit on. Insert the short straight piece into the frosting. The flat side faces to the back. I chose to use 3 legs on each side . . . I ate every 4th leg . . . lol. I’m telling you, these are just too creepy cute to eat! Note: I put parchment paper on a cookie sheet, and placed my spiders in the fridge for a bit. Once the frosting is chilled, the legs will stay in place much easier. Even if you don’t want to make spiders . 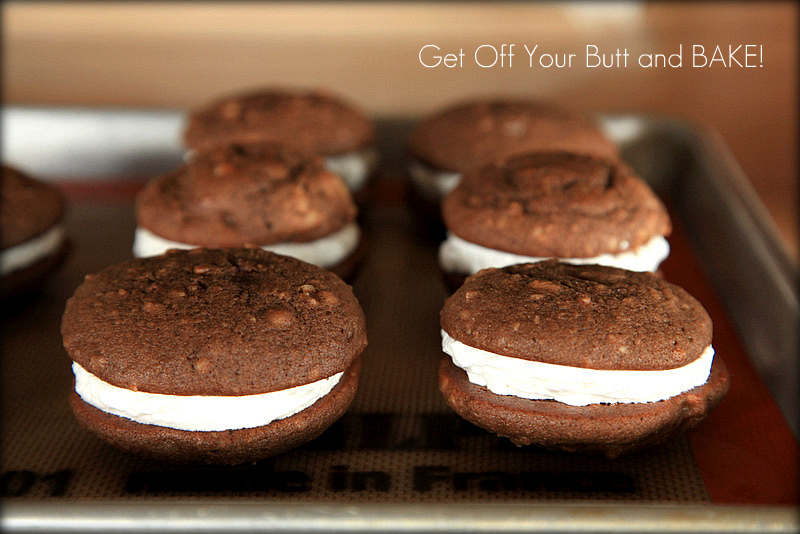 . . Make Whoopie pies! Preheat oven to 375 degrees. Make cookies: Line two rimmed baking sheets with nonstick baking mats (such as silpats), or with parchment paper. Sift together flour, cocoa powder, baking soda, baking powder, and salt. With an electric mixer, beat butter and sugar on med. speed until light and fluffy. Add eggs, buttermilk, and vanilla. Beat until well combined. On low speed, slowly add dry ingredients; mix until combined. With a cookie scoop – Drop batter onto prepared baking sheets, spacing 2 inches apart. Bake until set, about 8 to 9 minutes, rotating halfway through. (When the top of the cookie is gently touched, it should feel soft but not wet.) Cool completely on a wire rack. Make filling, and assemble cookies: Spread or pipe frosting on the flat side of 1 cookie. Sandwich with another cookie. Cookies can be refrigerated in single layers in airtight containers. Bring cookie to room temperature before serving. Place butter in a large mixing bowl. Beat until light and fluffy, about 30 seconds. Stop mixer before adding sugar to avoid a large mess. Add sugar, 3 tablespoons milk or cream, and vanilla. Beat frosting, starting on slow, increasing your speed until frosting is nice and creamy. 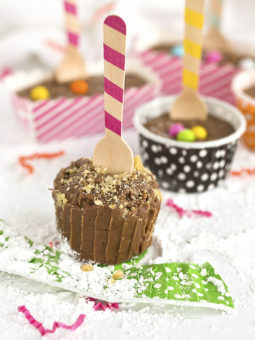 Add up to 1 more tablespoon milk if frosting is too thick. Fold in 7 oz jar of Marshmallow creme. Frost cookies. *This is similar to the above Marshmallow that I make. It sets up well, and is easily piped on cupcakes, desserts, etc. 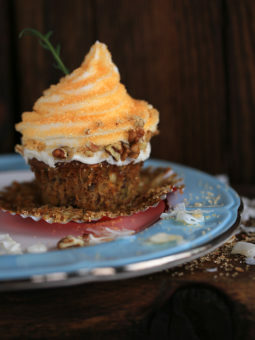 This recipe will frost 12 to 15 cupcakes or one large cake. Made with beaten egg whites, this frosting is similar to meringue, but is more stable and study enough for piping. And, like meringue, it also takes well to browning with a kitchen torch. 1. 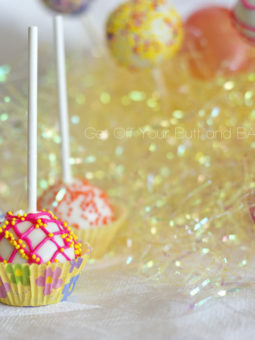 Combine 1 1/2 cups sugar with the water and corn syrup in a small saucepan; clip a candy thermometer to the side of pan. Bring to a boil over medium heat, stirring occasionally, until sugar dissolves. Continue boiling, without stirring, until syrup reaches 230 degrees. 2. Mean while, in the bowl of a standing electric mixer fitted with the whisk attachment, whisk egg whites on medium high speed until soft peaks form. With mixer running, add remaining 2 tablespoons sugar, beating to combine. 3. As soon as sugar syrup reaches 230 degrees, remove from heat. With mixer on med. low speed, pour syrup down side of bowl in a slow, steady stream. Raise speed to med. high; whisk until mixture is completely cool (test by touching the bottom of the bowl) and stiff (but not dry) peaks form, about 7 minutes. (More like 12 minutes for me). Use immediately. With an electric mixer, beat peanut butter and butter on high speed until smooth. Reduce speed to low. Add confectioners sugar; mix until combined. Raise speed to high, and mix until fluffy and smooth, about 3 minutes. Add a dash of salt if desired. Very cute! I’m making pumpkin whoopie pies this weekend. these are awesome!! I’ll make some for my boyfriend SOON!